Because Jewish tradition places more emphasis on life rather than death, there are various views of the afterlife. 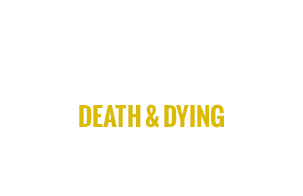 That being said, the process of death and dying is twofold. Specific laws are applied to the how the deceased body is treated in preparation for burial. In addition, specific laws are given to the mourners themselves, including refraining from work for a period of time, observing grieving periods, and reciting blessings on a regular basis. 4: Where Do People Go When They Die? 5: Where is Grandpa Dennis?